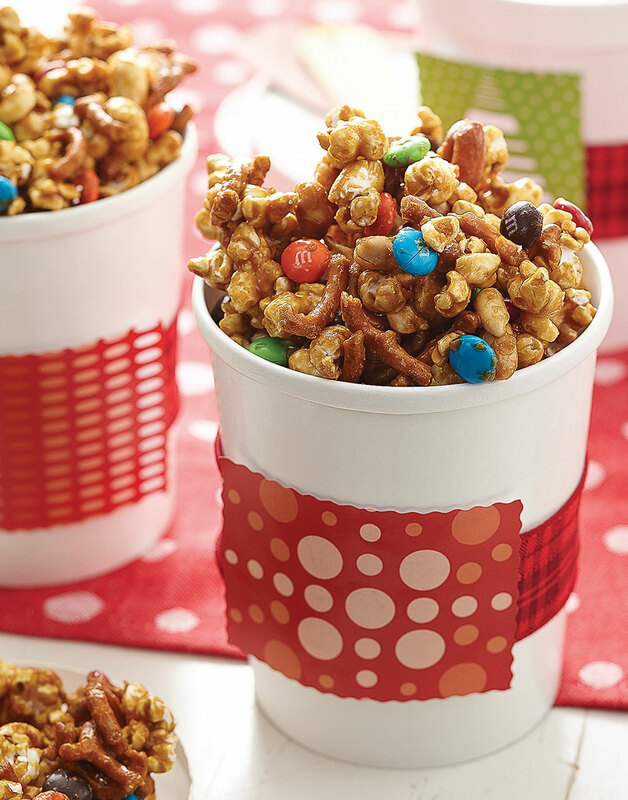 Snack Mix Caramel Corn is the perfect, homemade holiday present — easy, tasty, and affordable. Simply start with our Sweet Christmas Corn recipe, then add in some pretzels and M&Ms for an even more magical popped treat. Stir together caramel, popped corn, pretzel twists, and peanuts. Bake caramel corn snack mixture according to Sweet Christmas Corn recipe directions, stirring in 1½ cups M&Ms candies before returning mixture to oven for the last 5–8 minutes of baking. Spread caramel corn snack mixture onto a large sheet of aluminum foil to cool. Once cool, store in airtight containers.